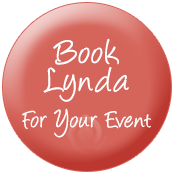 Lynda is a gifted storyteller and sought after inspirational wellness speaker. She regularly speaks about the healing and transformational power of writing for self-care, burnout prevention, wellness and personal growth. 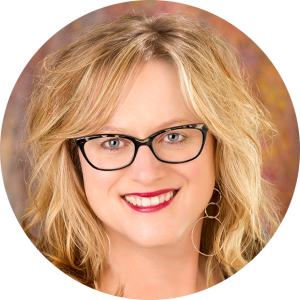 Lynda is known for her compassionate and engaging style, her storytelling and the experiential way she engages and nourishes audiences both in-person and through virtual events. 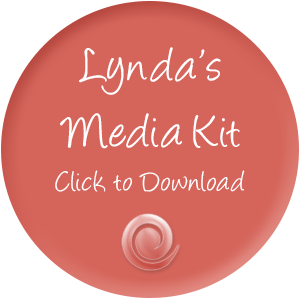 Lynda will take your audience to the page to gain clarity, make decisions, get grounded and access deeper feelings of calm and well-being. During this experiential presentation, participants will have a first-hand experience with the healing and transformational power of expressive writing. Lynda brings together the key elements of burnout prevention alongside the healing benefits of expressive writing to offer those who care for others, a powerful tool for self-care, reflective practice and replenishment. Expressive writing is a proven way to help prevent burnout and mitigate the risk for vicarious trauma and compassion fatigue, common occupational hazards within helping and healthcare professions. Learn how Lynda used journaling to prevent burnout as a crisis response social worker. This keynote invites helpers, healers, leaders and caregivers into the heart and art of caring for themselves through therapeutic journaling. Lynda will guide participants to tap into inner ways of knowing (intuition) through guided meditation and expressive writing. Reduce stress and overwhelm by coming home to your self. Discover key strategies for writing to improve your emotional, physical, psychological and spiritual health. Participants will be inspired to take charge of their health and wellness in creative, courageous and authentic ways. Lynda was one of the favourite workshop leaders at our Imagining Possibilities 1-day Conference for young women (age 15 – 24), engaging participants in a dynamic and passionate way. Comments included, “It was very inspiring and prompted introspection,” and, “She was clear, organized, giving, knew it all really well.” Her work completely supported our goals of firing up young women to take charge of their lives and believing that they can: Lynda was positive, spoke their language and led participants to reach their own “aha”. We are delighted that she is returning this year. Lynda is a passionate and engaged speaker and her workshop was very well-received by our participants. Our conference attracts a specific segment of family service professionals (those working with pregnant and parenting youth), and I very much appreciated Lynda’s openness to targeting her workshop directly towards the work they do. The feedback we received was overwhelmingly positive, with participants commenting on Lynda’s dynamic presentation skills, the quality of the resources, and the usefulness of the skills and strategies discussed. 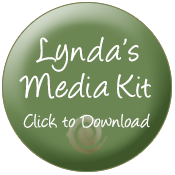 Having Lynda as a guest expert on JournalTalk is both a refreshing and invigorating experience. She knows how to share the magic of new possibilities with an audience, in a simple, inspirational and informative style. We’re ready to have her back again anytime! Lynda was an absolute pleasure to work with and went above and beyond in both the promotion of our event as well as an outstanding delivery on writing for wellness. Her willingness to spend time tailoring the presentation to our audience was most appreciated! I wish all the speakers I worked with could be as generous and passionate about the outcome of their efforts as Lynda is! I was deeply moved by the authentic way Lynda shared her journey as a writer and the gentle, respectful way she engaged with the audience was beautiful to witness. Lynda and Creative Wellness’s ability to be flexible and responsive to our agencies needs was tremendous! The staff are excited about developing self-care plans and look forward to working with Lynda again. Lynda Monk’s authentic and easy-going style made her one of my favorite people to interview as well as one of my viewer’s favorite speakers to watch. 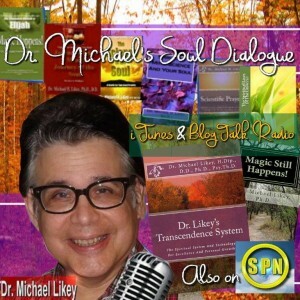 Her heart-felt vulnerability really struck a cord with my viewers and her easy-to-implement writing strategies help facilitate healing in a powerful way. I can’t wait to work with her again on my next project! Tip: having a regular reflective practice such as journaling is a proven way to prevent burnout! Are you looking for a dynamic speaker for your next event? Contact Lynda at 250-653-2085 to discuss your unique vision and needs. Lynda is committed to providing the highest standard of professional speaking with the goal of exceeding your expectations!